I think I mentioned before on this blog, a while ago I was sent a 45RPM record that I hadn’t ordered in a package with one that I had. The bonus LP had no sleeve and was filthy, but when I cleaned it up and put it on I was taken quickly with it. Gorgeous guitar-driven rumba with a touch of north African mystery in the notes. All played by a very tight band. I researched it a bit looking for more by the same group. Not knowing the intricacies of French, I assumed that the full name of the project was Conde Demba Chanteur Horoya Band, or perhaps the operative searchable words were Conde Demba. I didn’t find much, they had another LP under the same name that I tracked down and it’s just as good. Months later I stumbled across Horoya Band, and realized I had no idea what I was searching for. 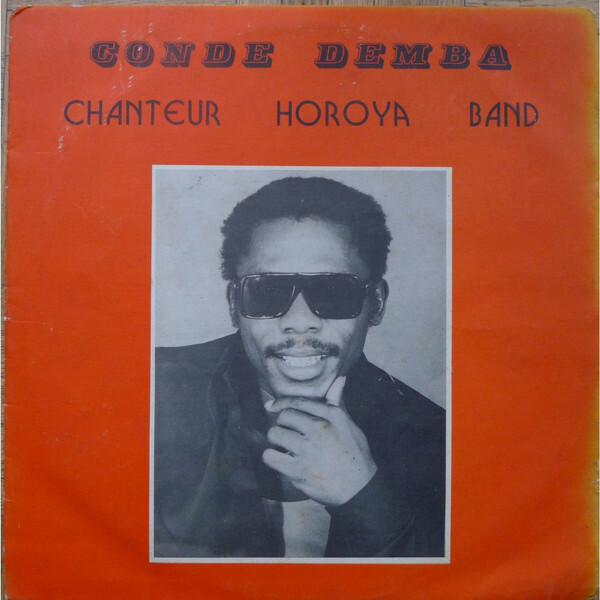 Conde Demba was a guest vocalist for two records, it seems. I’ve since found a lot of amazing music from them, from several iterations and with a diverse quality of sounds and styles. 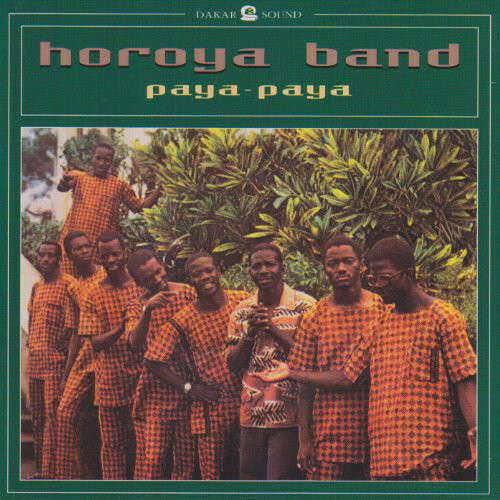 The Horoya Band was from Guinea (I had thought Ivory Coast for some reason), and they were a national treasure, to the extent that the state eventually nationalized them (whatever that means) and they became Horoya Band National. I even tracked down a CD of theirs called Paya-Paya, on the Dakar Sound label. I love finding reissues of this stuff whenever possible, both because I like the opportunity to actually give the artists part of my purchase money and because it means that people are still listening to music that I like. Sometimes I feel like a lonely archeologist in Seattle with no peers who I can share this stuff with. Or at least no one who will care like I do. Shout out to the worldservice blog, where I made this discovery.